The Omega Big Mega Mouth Juicer BMJ330 is extremely durable and has been designed for use at home or in a number of commercial settings, including restaurants. The basket and blade are made from stainless steel, making them ideal for heavy usage. Not only is this juicer durable, it is also powerful, with a 1.5 horsepower commercial motor that will take whatever you want to throw in. 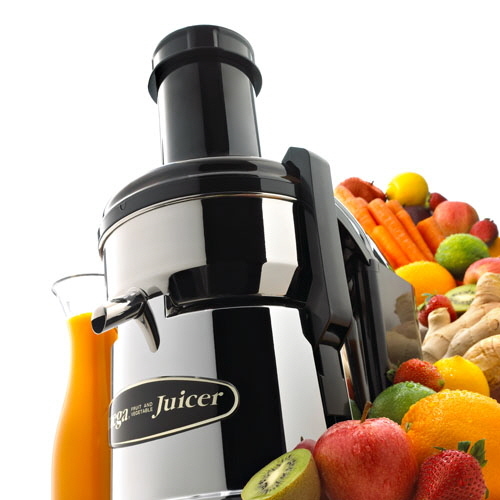 Omega backs this juicer with a 10 year warranty so you know you are getting a quality product. When you create fresh juice from home you are creating a product packed with vitamins, trace minerals, antioxidants, and other healthy nutrients that your body needs to be youthful, trim, and energetic. You get all the nutrition and flavor without the preservatives and artificial additives that are forced on you through store-bought juices. Stainless Steel Blade, basket and bowl. Note: The 330 Series has a stainless steel looking body (made of high quality plastic), and contrasts nicely with the smoky gray top and pulp receptacle. All of the metal components are made of high quality stainless steel. You can upgrade to the Omega Juicer Mega Mouth 390 Series designed for commercial use (large amounts of produce), and also get the all chrome body. Durable- Designed for the home, but built for Commercial use, this unit is as beautiful as it is practical, with an all stainless steel blade and basket for heavy duty use. Innovative- A new Big Mouth feed tube make preparation a breeze. What this means is that you spend less time cutting and more time juicing. Powerful- The most efficient commercial motor on the market guaranteed for a full 10 years- the best warranty in the industry! Simple- Single speed performance - no need to guess if you should be juicing at a low or high speed. Simply flip the switch and Omega's motor automatically extracts the maximum amount of juice from either soft or firm fruits and vegetables. 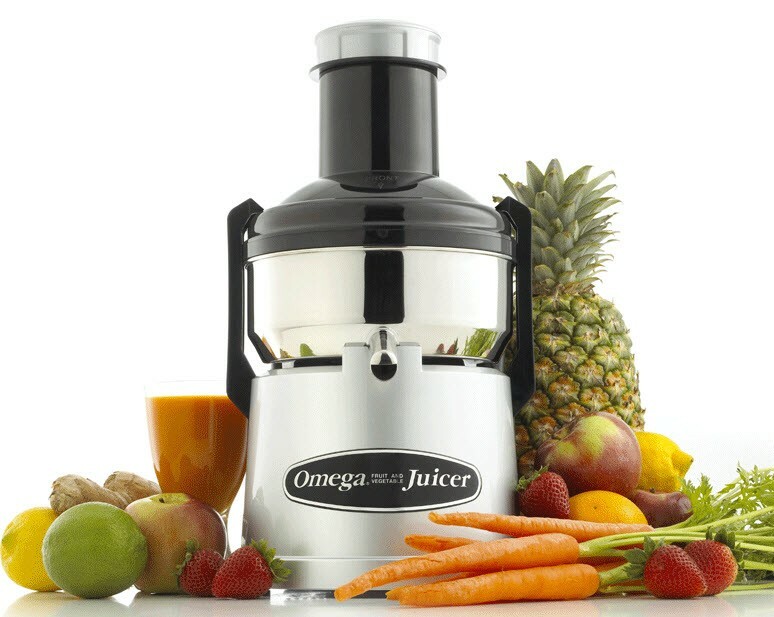 Warranty- Omega backs this juicer with a 10 year warranty. 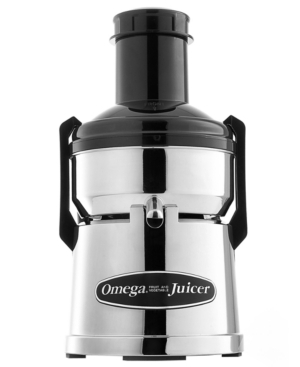 You can upgrade to the Omega Juicer Mega Mouth 390 Series heavy duty for commercial juicing (large amounts of produce) and also get the all chrome body.